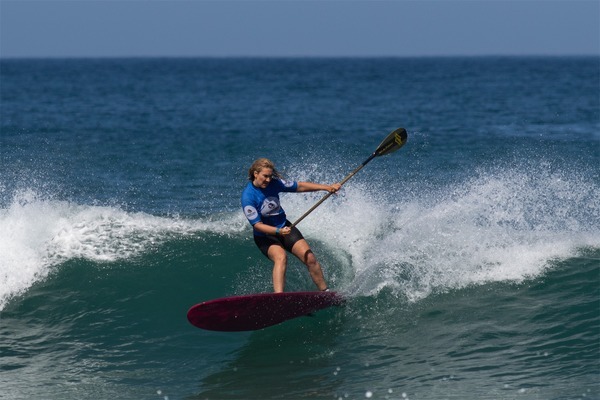 A pair of Jan Juc paddle surfers have claimed top honours in the Victorian SUP Titles at 13th Beach. Emma Webb took out the open women’s title and Matt Takle collected the open men’s division award last weekend. The two battled the one-metre conditions to victory in the finals on Sunday. But it was Webb who stole the show, winning all three divisions she entered including the women’s longboard and over 40 events. Webb outlasted Ocean Grove resident Meleah Zanos by 3.4 points to claim the state title. Posting two high-scoring rides, Webb finished with a combined heat total of 17.40 out of 20. 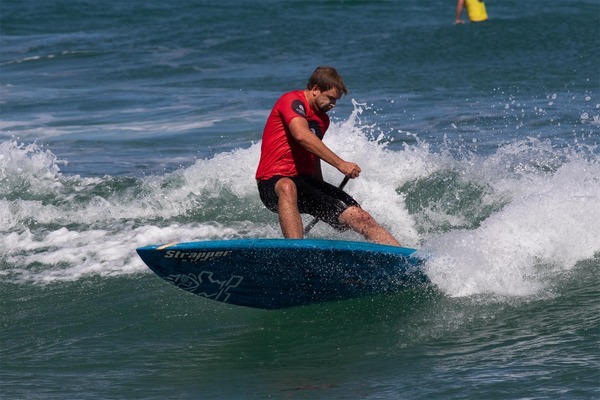 “These were the best waves that we’ve ever had for a SUP comp,” Webb said. Vanessa Mollard from Brunswick came third while Point Cook’s Sophie-May White came fourth. In the men’s, Takle defeated fellow Jan Juc local Rick Pettifer to earn a convincing win. Takle threw down some of the biggest turns seen in the competition, with one of the highest scoring rides on the day, an 8.90 out of 10. “It was good to be on my forehand surfing today,” the champion said. Pt Leo’s Chris Clark and Torquay’s Jarrod Snow came in third and fourth respectively. Other winners on the day included Jan Juc’s John Tackle, Hampton’s Jean Ringrose and Benella’s Michael Smith. Webb now has five state titles under her belt, while Takle has six of his own. The duo will now look to continue their winning momentum at the Australian titles later this year, to be held at Phillip Island for the first time.